Please save my seat for October 20And all the replays in the series! Pick an example of your art for your next postcard mailer or portfolio – and see if the Girllustrators agree with you. That's your illustration art prompt (and quest, should you choose to participate) for the grand finale workshop (#5) in our workshop series, Going from Good to Great with the Girllustrators. Led this time by illustrator, designer, writer and graphic novelist Rivkah La Fille, the Girllustrator panel will pick 10 submissions from the shared folder. "Choose one piece that you'd present...It can be one you've already created. [Or]It can be a new piece." Rivkah says. They'll critique on not just the merits of each piece as an illustration, but its fitness for the genre or market it's intended for, she says. Deadline to turn in your piece for the Oct. 20 live workshop: End of day Wednesday, October 17. The workshop will include a common sense, collective Q&A with the Girllustrators panel led by Rivkah on 'best self promotion tactics' for illustrators – for postcard mailings, blogs, Instagram, Facebook, Twitter, Pinterest and advice on 'how to be' with with agents, editors and art directors at a conference. They'll weigh costs versus benefits of sharing your artwork and yourself on social media, 'group branding' and more. Registering for October's workshop brings you the replays of all the previous critique workshops in the series, like August's when Girllustrator Vanessa Roeder shared how her sketchbook doodle became a picture book proposal that led to a publisher's auction and a two book contract, beginning with Lucy and the String, brought out by Dial this summer. 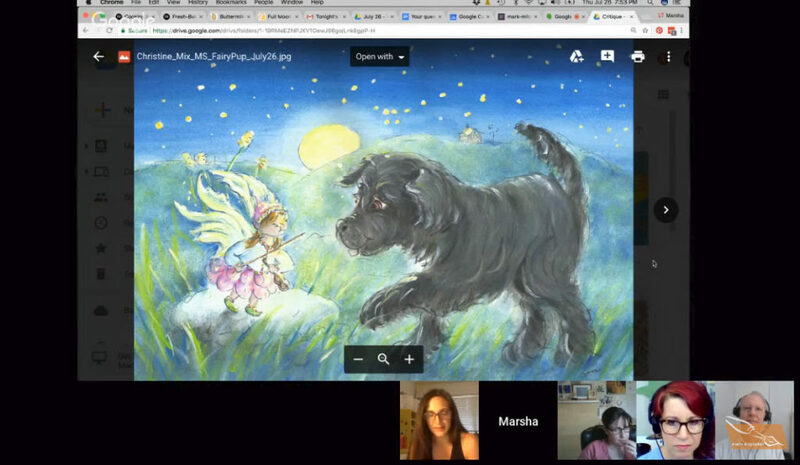 In July the Girllustrators shared their process for evaluating their own and each other's work while keeping their friendships healthy, how they work together as a group, productive critique skills and how to critique yourself. 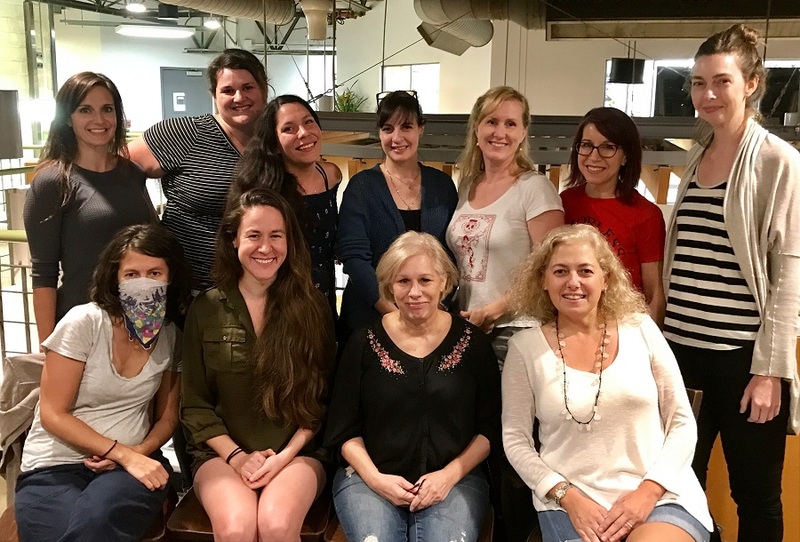 In June the Girllustrators introduced themselves in their first workshop and showed how they brought some of their own ideas to effective realization and life. With the art prompt of light, they explored the wellspring of Inspiration – where to find it, how to keep it. How to generate ideas for bold concepts and new techniques to try. In three of the workshops, Girllustrators examined pieces from the class as if they were critiquing each other in one of their monthly meeting huddles in Austin, Texas. In the fourth workshop, agent Rebecca Sherman picked ten pieces to review as if she was looking at submissions in her agency office on West 26th Street in Manhattan. Register for the final workshop in the series in this month and get all of the series replays, too: Collective smarts and wisdom from illustrators who have received national recognition for their art, illustrated and written books and graphic novels, created hit picture book series and even worked on PBS kids' shows. The Girllustrators are a group of talented women in Austin, Texas who unite for sharing, support, and shop talk in the field of children’s illustration. 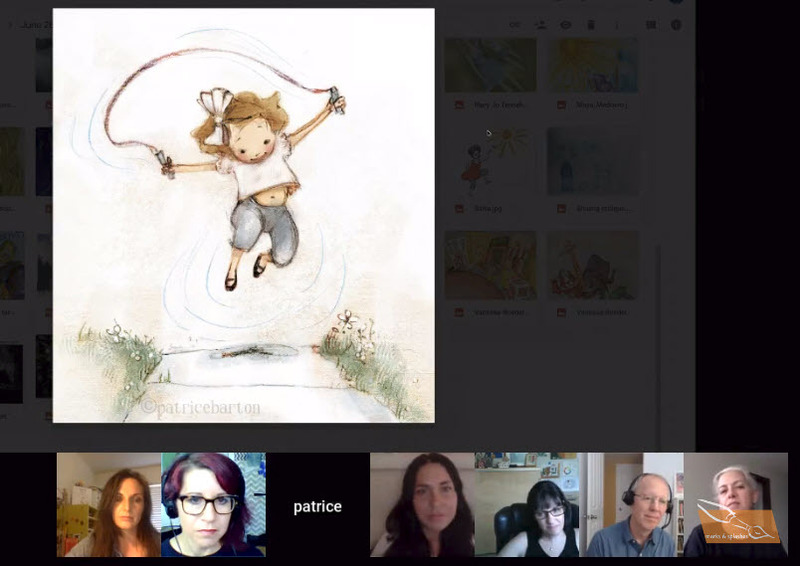 They're provided this instructors' panel as a way to help and encourage fellow illustrators in five online workshops. 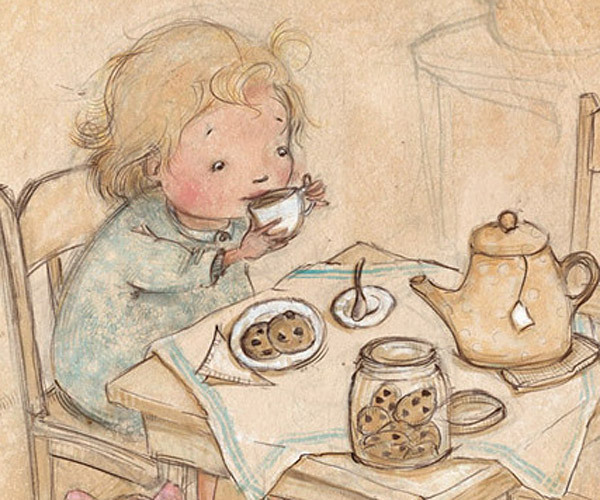 Patrice Barton is the illustrator of the award-winning picture books MINE! by Shutta Crum (Knopf, 2011) and The Invisible Boy by Trudy Ludwig (Knopf, 2013). 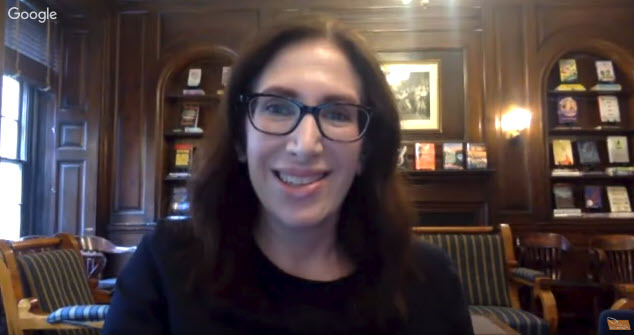 Her chapter books include the Junior Library Guild selections The Year of the Three Sisters, an Anna Wang novel by Andrea Cheng (Houghton Mifflin Harcourt, 2015) and The Naming of Tishkin Silk by Glenda Millard (FSG, 2009). She's represented by Christina Tugeau of The CAT Agency. Lalena Fisher has designed characters and backgrounds for TV’s Blue’s Clues and The Wonder Pets, and created graphics for The New York Times. Her educational press clients have included Oxford University Press, McGraw-Hill, and Benchmark. 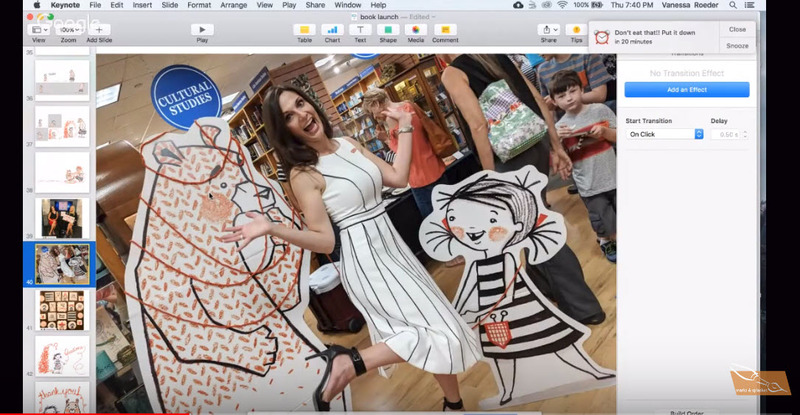 Her first picture book, Pursuit of the Magic Piece was published in 2015. 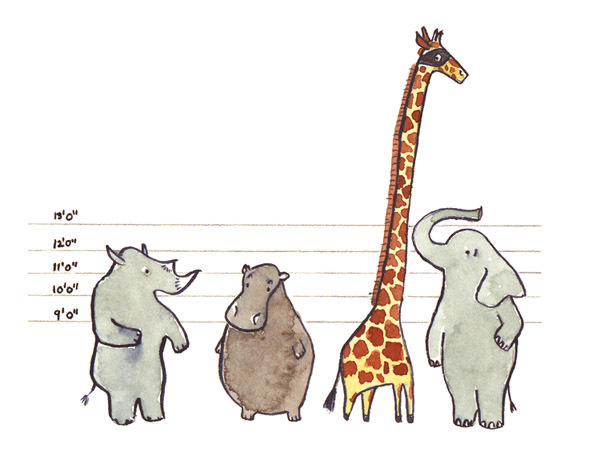 She's represented in children's books by Lara Perkins at Andrea Brown Literary Agency. Shelley Ann Jackson is an author-illustrator, former Austin SCBWI regional adviser, and the founder of the Girllustrators. 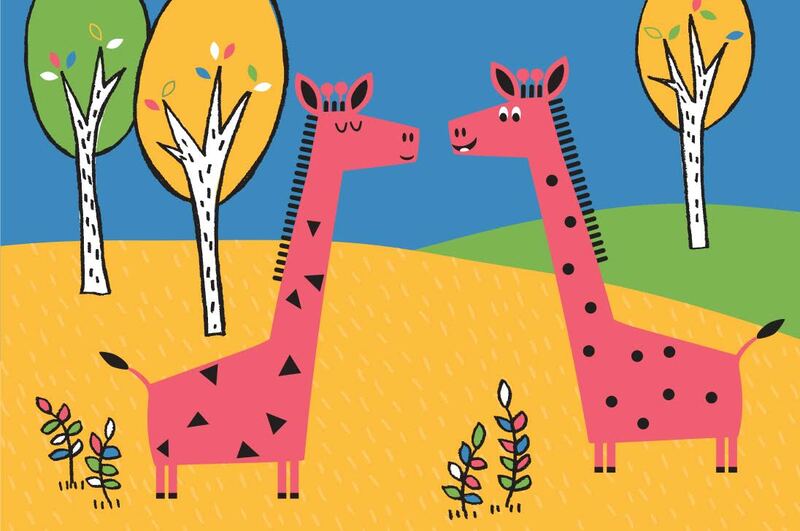 Still a member of the group she created, she now heads the MA Children's Book Illustration Program at the Cambridge School of Art at Anglia Ruskin University. Rivkah LaFille is an Illustrator, designer, and writer living in Manhattan and Austin, TX. Her graphic novel series, Steady Beat was nominated by the American Library Association for their Great Graphic Novels for Teens list. 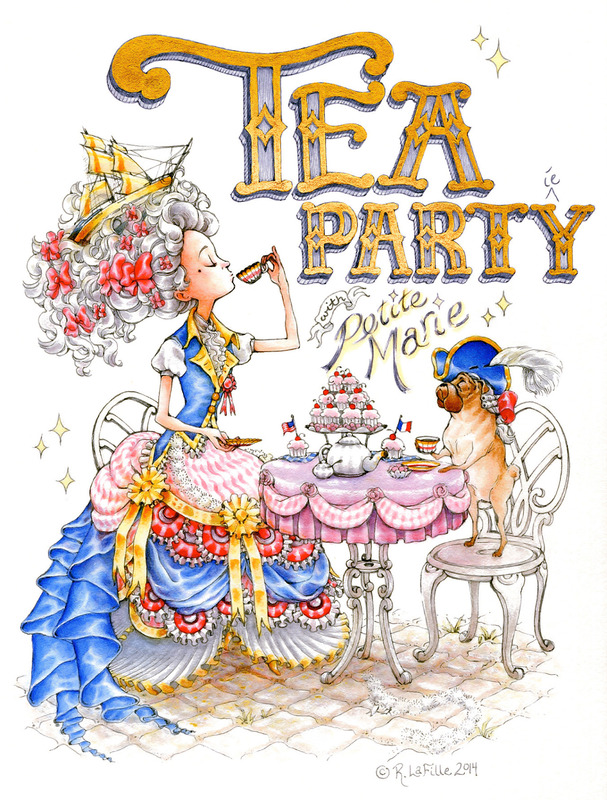 Rivkah's specialties are children's illustration, book cover layout and design, and hand-illustrated typography. 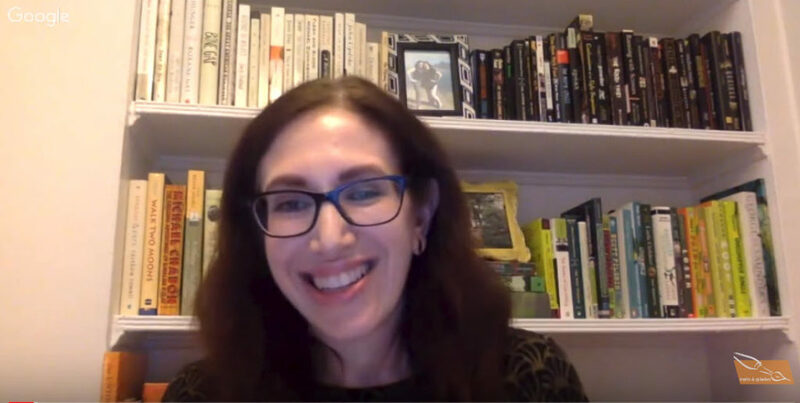 Her clients have included Harper Collins, St. Martin's Press, The Society of Children's Book Writers & Illustrators, Cricket Media Group, Vertigo/DC Comics, Tokyopop, and various fashion, tech, and publishing companies. Vanessa Roeder, aka Nessa Dee, has illustrated six picture books, including The Angel Guardian, Varla’s Gift, and Useless and for Highlights Magazine. A muralist, too, she creates art for children's magazines, picture books, and homes. She's represented by Rebecca Sherman of Writers House Agency. Emma J. Virján is a graphic designer the author-illustrator of the popular Pig in a Wig picture book series, published by HarperCollins. She's represented by Edite Kroll of the Edite Kroll Literary Agency. Our guest critiquers – illustrators, author-illustrators and agents – look at work from the the group as teachers, colleagues and mentors. Watch up close how full-time creatives evaluate and troubleshoot their own and others’ pieces. That upcoming conference, portfolio review, promotional mailing, or approach to an editor, art director, agent or client. Regular critiques with practice speed your progress as you discover how to weigh and navigate the feedback.